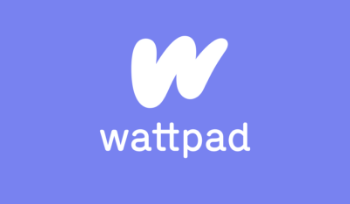 The Wattpad community loves a good story. What many people overlook, however, is that the stories they love are often serialized, episodic, and collaborative. On Wattpad, almost 90 percent of the 250 million uploads shared are serialized. As Megan Garber of The Atlantic points out, serialized storytelling is going through a bit of a renaissance. Today’s audiences enjoy serial narratives on-the-go and on their terms. A few minutes of pure escape can be found every time you open up the Wattpad app. It’s part of why 90% of Wattpad traffic comes from mobile devices. Modern writers also leverage the new tools available to them and the power of today’s socially connected world. When writers serialize on Wattpad, a push notification brings their audience back every time they update a chapter. Audience feedback also helps writers gauge how cliffhangers, one-liners, and epic passages are received. Inline comments on Wattpad stories reveal the words that spur the most reaction from readers. Passages can also be highlighted and shared on social media, resulting in greater reach for a Wattpad story. Audience feedback, along with tools like writer analytics, helps writers tweak chapters where they see reader drop-off, or improve upon scenes that got the most comments. The positive comments from passionate fans are also something that many Wattpad Stars credit as inspiration. The breakout success of Anna Todd’s, After, perfectly sums up how to win at mobile, serial storytelling. Anna often wrote chapters while in line at the store. She updated regularly and engaged with her fans. Together, they formed a passionate community and connected through a story that currently has almost 300 story parts. Anna serialized After over the course of a year. As her fan base grew, she aimed to update more regularly. Today, Anna Todd’s After has been read over one billion times on Wattpad. The print edition of the work is also an international best-seller with a film adaptation set to hit screens soon. Today, many Wattpad Stars like Rebecca Sky, Ali Novak, Rachel Meinke, Shaun Allan, Ninya Tippett, Kassandra Tate, Kevin Fanning, Leigh Ansell, Alex Evansley, Emma Szalai, Greg Carrico, and Blair Holden, use these techniques to connect with massive audiences. Combined, these Stars have a total of 2.3 million followers, 6.7million unique readers, and 1.4 billion reads on their stories. Serialization and social storytelling set modern writers up for success. Writers who leverage these techniques on Wattpad have the potential to reach a massive audience. After all, every month, an audience of 45 million people spends 15 billion minutes with the stories they love. 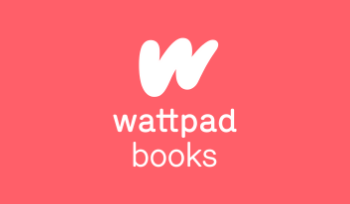 If you’d like to learn how to reach new audiences on Wattpad, it’s as simple as checking out our writer’s page.